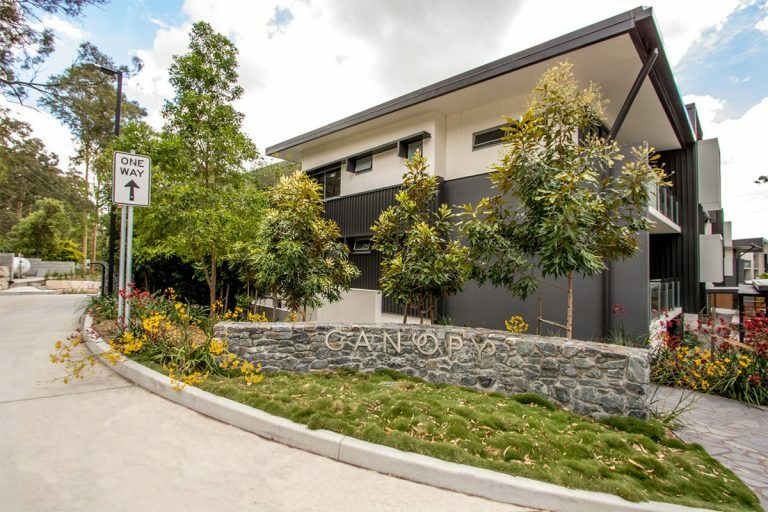 Tucked away in the foothills of Mt Coo-tha, and surrounded national park bushland, Canopy Bardon is a residential oasis only minutes from Brisbane’s CBD. 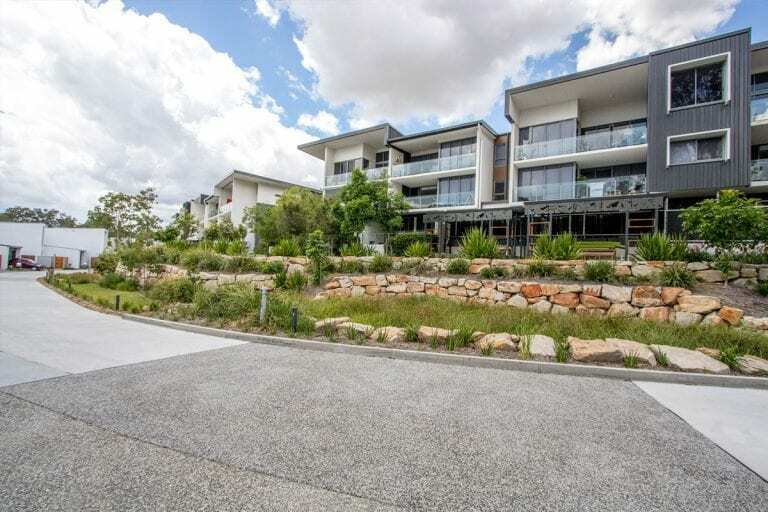 The development by Pradella Property Ventures is guided by natural and sustainable design principles in order to minimise its impact on its natural surroundings. 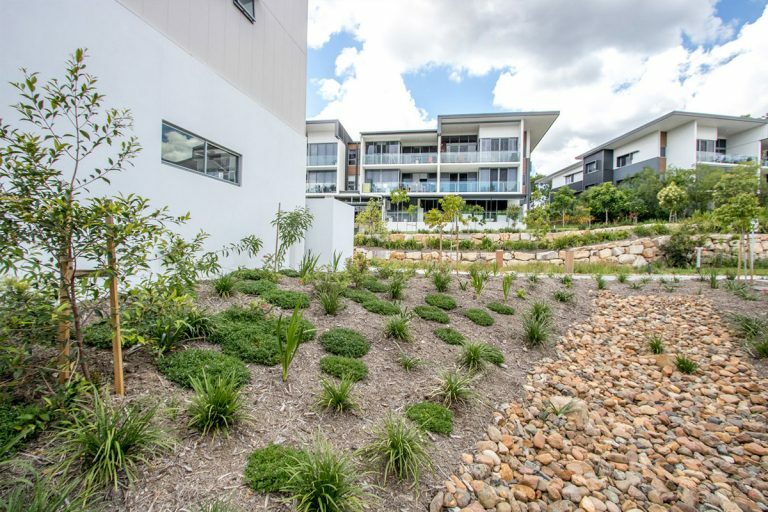 Hedge Landscape Management has been tasked with the post-construction maintenance of this exceptional development, and to maintain it’s natural appearance and ensure the environment is maintained as environmentally friendly and sustainable as possible. The comprehensive landscape maintenance plan for this project includes (but not limited to) a fertiliser management program, herbicide, insecticide, and fungicide management plans, tree management plan, bio basin management plan, irrigation management plan, and turf maintenance such as renovation and topdressing, mowing and edging, and growth regulator plans. Drawing on expert experience in landscape maintenance, the Hedge Landscape Management team is maintaining Canopy Bardon while ensuring minimum disruption to the residents at the development and the native wildlife. 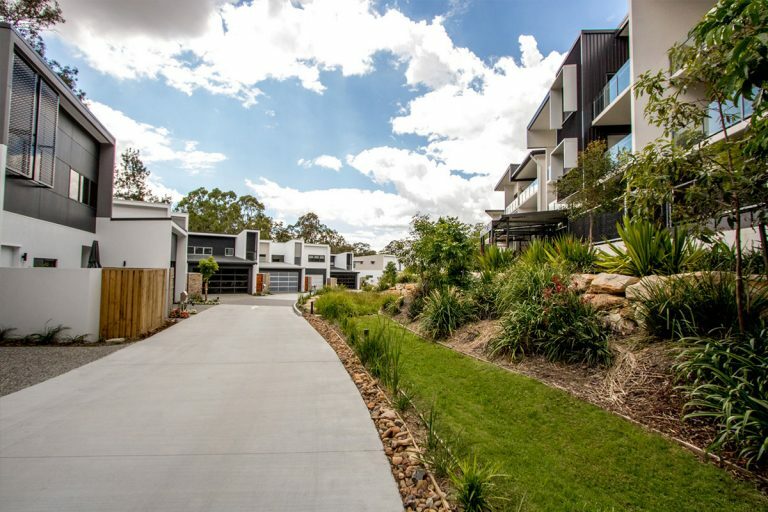 Hedge Landscape Management is committed to the delivery of high-quality maintenance at Canopy Bardon whilst keeping an effective line of communication with all stakeholders.